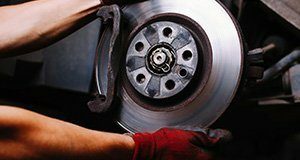 Flagship Ford offers new brakes and brake service near Chippewa Falls, WI. We use genuine OEM replacement parts to make sure your vehicle stops like new. Visit our service center and check out our large selection of new brakes close to Chippewa Falls, WI.